You can listen to the complete soundtrack here. Debutant composers Akshay and Abhishek kick off their Bollywood campaign quite “auspiciously” with a song on money, Rokda, a bouncy piece that sees some nice guitar usage. Akshay doubles up as vocalist as well, assisted well by Aditi Singh Sharma. Kho Jaane which follows is even better, the duo once again employing the guitars to splendid effect, and Clinton Cerejo and Aditi Singh Sharma doing their part flawlessly. The composers follow that up with two Punjabi dance tracks which work despite their formulaic nature, thanks mainly to some sprightly singing by Akshay (in Rum Whiskey) and Mika (in Chaddha). Of course the liveliness in the genre almost always gets your feet tapping, same here. The only song where the composers do not quite make their mark is their final song, the female version of Pani Da Rang, despite a neat rendition by Sukanya Purkayastha. The reason Abhishek-Akshay fail to impress much with the female version of Pani Da Rang, is the stellar job that the hero of the movie Ayushmann Khurana does as composer alongside Rochak Kohli, in the male version original. 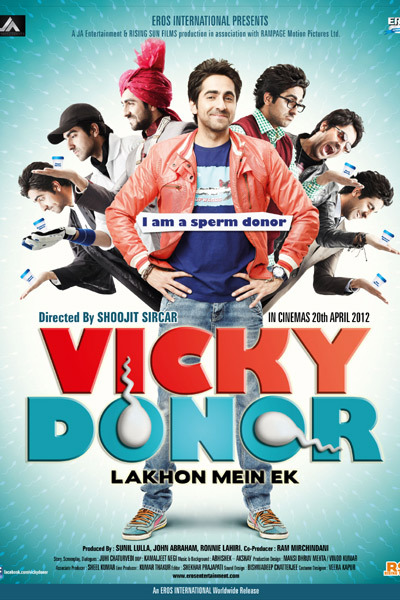 Though not the best vocals in town, Ayushmann’s cameo as singer works well for this piece. That leaves us with the final set of guest composers, again a debutant duo – Donn & Bann. And their sole composition, the melancholy-flavored Mar Jaiyan comes in two versions. The first one is quite clearly the better one with Vishal Dadlani and Sunidhi Chauhan leading the proceedings and an arrangement in places taking on qawwali elements and thereby evoking memories of songs like Tujhe Bhula Diya. The second version is an unplugged rendition by one of the composers, Bann. The singing didn’t quite work for me, even as the composers impressed with their employment of strings especially in the interludes. Comedy movie. Multiple composers. Two factors that in most cases ensure a bad soundtrack. 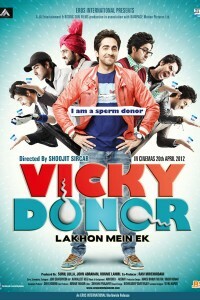 Vicky Donor, despite both these factors, and a set of debutant composers at that, has one thoroughly entertaining score!